I have a new Yahoo! Store that needs to be designed. I already have a Yahoo! Store and need to get it re-designed. I've got a store, but I need to add something to it and take it to a new level. 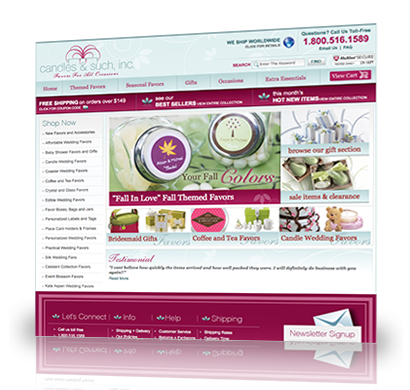 Yahoo store design and development is our primary focus at Colorado Web Solutions. Since 1997 we have been creating custom built Yahoo stores as well as managing our own Yahoo stores. We have a competitive selection of design packages available for both new stores and redesigns as well as a host of Yahoo specific RTML features. Our mission is to provide Yahoo store owners with creative and attractive designs at a competitive price with timely development. All of our Yahoo staff has extensive experience with everything Yahoo related.